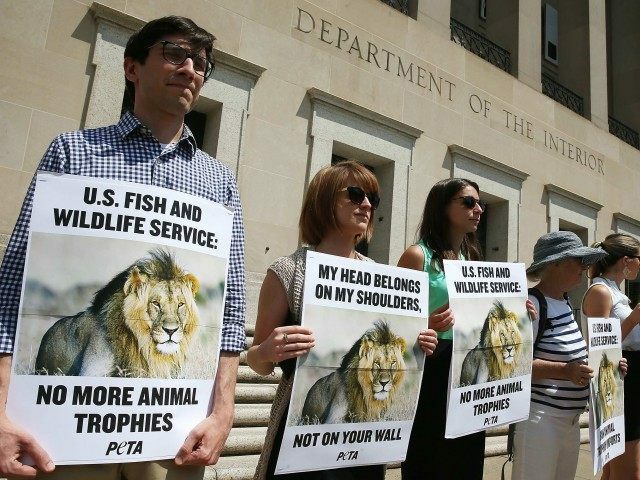 The zoo may benefit from public interest in conservation, following the recent demise of Cecil, who was killed in Zimbabwe by a bow-hunting dentist from Minnesota. At the event, “you also can get more deeply involved by talking with conservation groups such as the Bay Area Puma Project, Uganda Carnivore Program and the Mountain Lion Foundation,” according to the Contra Costa Times. One of the initiatives listed on the zoo event’s webpage is a push to list the African lion under the Endangered Species Act, on the argument that fewer than 30,000 lions are left in Africa. National Geographic contributor Melissa Simpson wrote in 2013, “[T]here are between 32,000 and 35,000 lions living in the wild in Africa,” spread across 27 countries. At least 68 percent of these “strongholds” meet “the necessary requirements for [the] long-term viability” of their lion populations. Saturday’s event will be held from 10:00am to 3:00pm. Last week a Carlsbad, California restaurant immortalized Cecil with a huge outdoor mural.